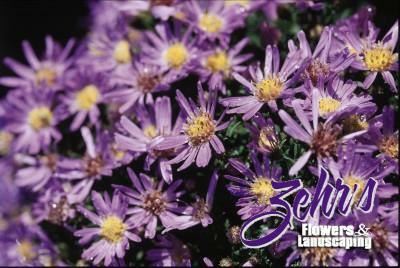 From a beautiful fall-blooming series of aster cultivars with highly mildew resistant foliage and great dwarf stature. Excellent for containers as well as the front of the perennial border. Single, clear medium blue flowers with gold centers appear in August and bloom through October. Asters are great for attracting butterflies to the garden. Well-drained soils are best.